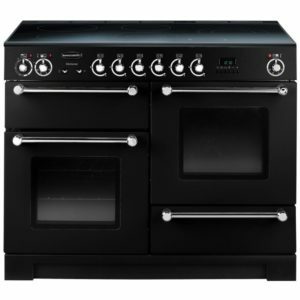 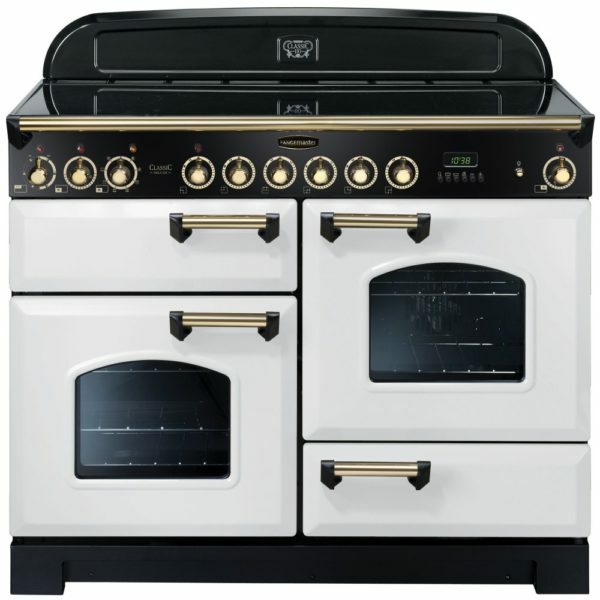 Finished in crisp white with brass trim, this Classic Deluxe range cooker from Rangemaster is the perfect combination of traditional design and modern cooking features. 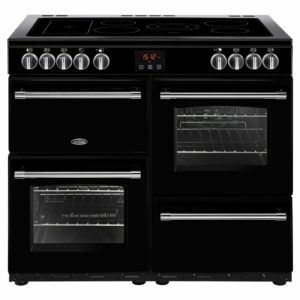 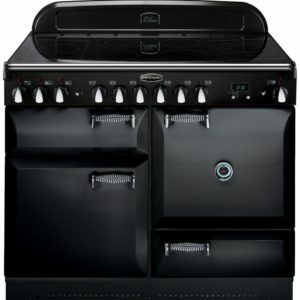 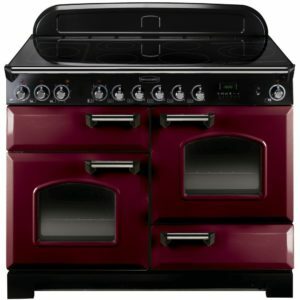 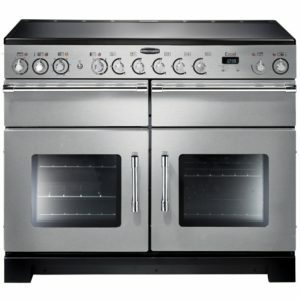 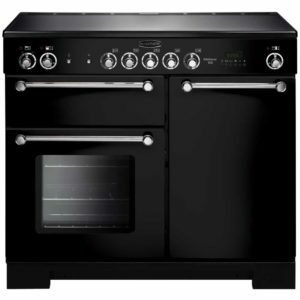 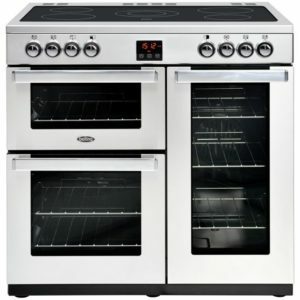 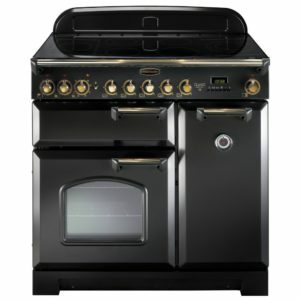 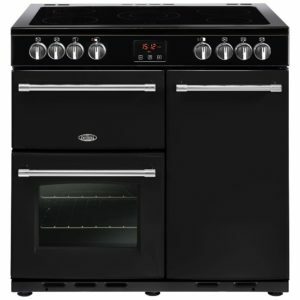 There are 2 spacious ovens, which offer a variety of cooking programmes for fantastic flexibility. With a glide out grill and handy storage drawer Rangemaster have thought of everything! 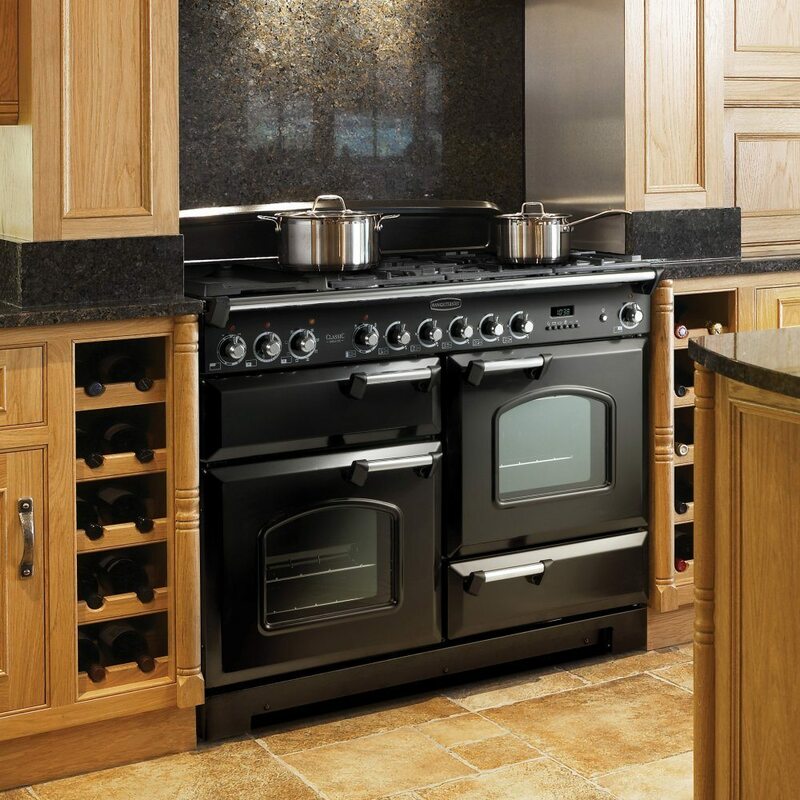 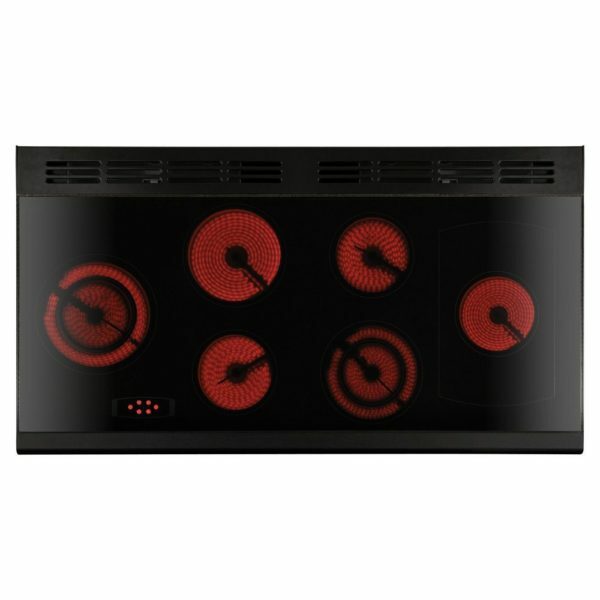 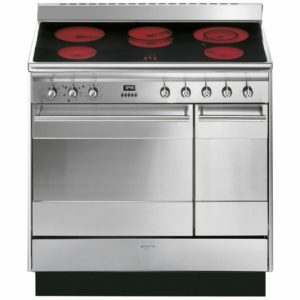 Topped with a 6 zone ceramic hob top, you won’t be short of space when simmering, frying or boiling.